The J-10 (Jian 10 or Fighter 10) is China’s indigenously built multirole fighter aircraft developed by the Chengdu Aircraft Industry. Chengdu Aircraft Industry is part of the China Aviation Industry Corporation I (AVIC I). In the West the J-10 aircraft is known as the Vigorous Dragon. It is estimated that up to 300 J-10 fighter aircraft will be manufactured. China’s People’s Liberation Army (PLA) includes the army, navy, air force and strategic rocket force. The air force (AFPLA) has 200 fighter and fighter ground attack squadrons and 120 strike fighter squadrons. The development task was handed over to the Chengdu Aircraft Design Institute (also known as 611). In January 1986, the State Council and the Central Military Commission jointly issued a document to approve the development of the J-10 project, code-named No. 10 project – “At that time, the F16 was positioned, and the gap was very large.” Xu De said. At that time, some domestic experts seemed to catch up with the F16. At that time, China’s most advanced J-8 fighters were only second-generation aircraft, and the advanced third-generation fighters, the US F15, F16 and the Soviet MiG-29, have begun to equip and apply actual combat. The J-10 [the export version being designated F-10] is a multi-role single-engine and single-seat tactical fighter, with its combat radius of 1,000 km. It is designed for point defensive warfare with performance generatlly matching aircraft such as the Mirage 2000 deployed by Taiwan. 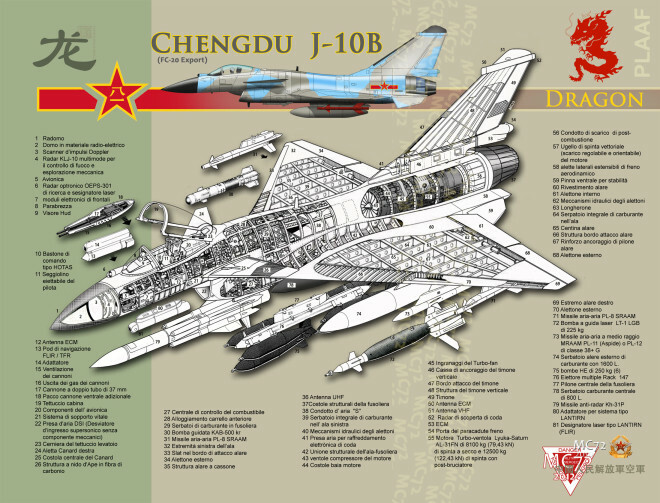 Apparently, Chinese engineers are trying to develop the J-10 from a single F-16 provided by Pakistan, and with assistance from Israeli engineers associated with Israel’s US-financed Lavi fighter program, which was cancelled in 1987.The acquisition of Su-27, after China had attempted for years to develop the J-10 aircraft with equivalent technology to perform similar functions, demonstrates a lack of confidence in domestic industrial capabilities. 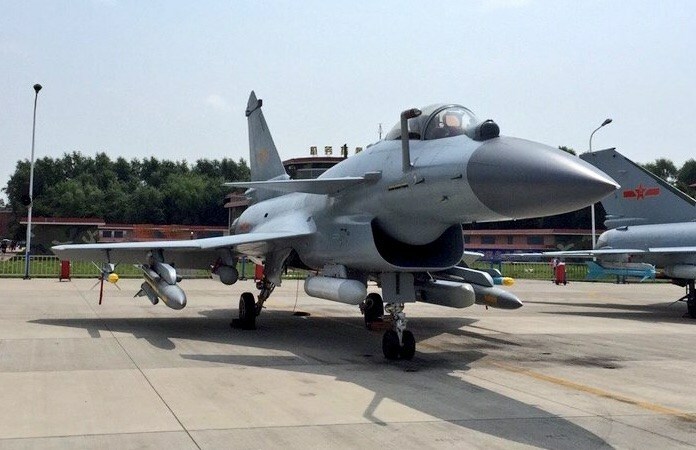 China’s record on reverse engineering aircraft has not been impressive, and it remains in doubt whether the J-10 will ever join China’s interceptor inventory. It is unclear what specific technologies and systems Israel has provided, although it is reported that the Jian-10’s radar and fire-control system is the Israeli-made ELM-2021 system, which can simultaneously track six air targets and lock onto the four most-threatening targets for destruction. Some experts believe that the Israeli contribution will focus on avionics and radar, with Russia supplying the engines. In December 1991, US intelligence officials announced that Israel was planning to open a government coordinated and sponsored “arms office” in the PRC. In light of what the Israelis have to offer, and what the Chinese need, it was most likely that a transfer of avionics and other technologies developed in the Lavi program would ensue, since there is a void in the Chinese avionics and fire control system capability due to the 1989 termination of a US/Chinese program in response to Tienanmen square. China and Israel started collaboration in the early 1980’s and full-scale cooperation was underway officially by 1984. After the 1987 cancellation of the Lavi, it was taken over by CAIC and the IAI carried on with the development of avionic equipment. However, the Lavi project had included many elements that Israel could not develop by itself, and China cannot obtain these key technologies from the United States, which has consequently substantially increased the technical difficulties of the F10. In addition, there are certain difference between the Israeli and Chinese requirements for the aircraft. Since Israel already already had fighters such as the F-15, its primary requirement for the Lavi was short-range air support and interdiction, with a secondary mission of air superiority. 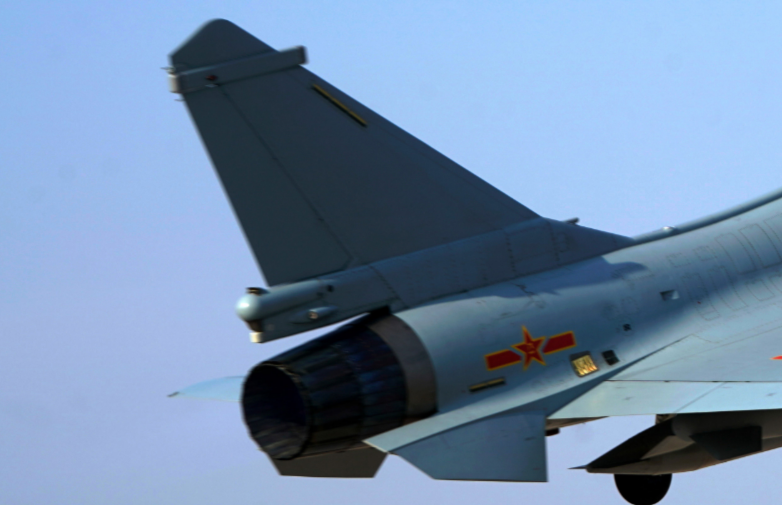 In contrast, the Chinese Air Force is interested in replacing its large fleet of outmoded J-6 and J-7 fighters, for which air superiority capabilities remain a top priority while the air-to-ground attack capability is of secondary importance. 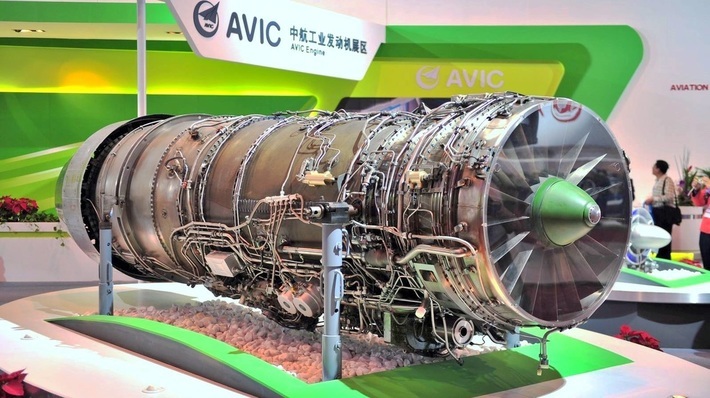 Since neither China nor Israel is capable of developing the propulsion system required by the J-10, in 1991 China acquired the AI31F turbofan engine from Russia for incorporation into the J-10 fighter. This engine is also used in the Su-27 air superiority fighter that Chinese acquired from Russia. 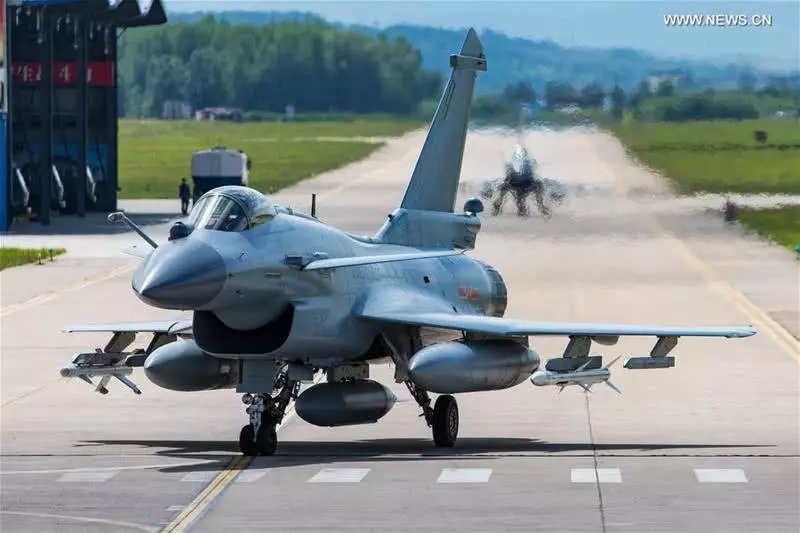 The performance of the AL31F engine is significantly better than that of the American PW1120 originally slated for the Lavi, it may be anticipated that the performance of the J-10 will be accordingly enhanced. Pakistan order of J-10 has been cancelled as of 2016. 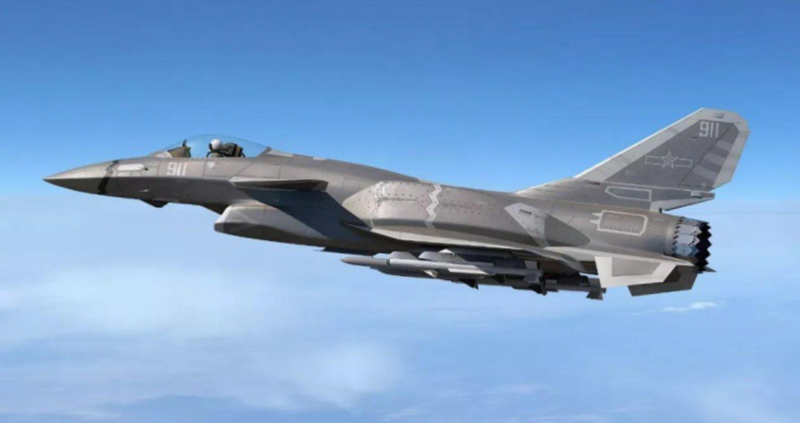 Pakistan Air Force is focussing on JF-17 Block 3 and in future it is looking to procure the export version of J-31. 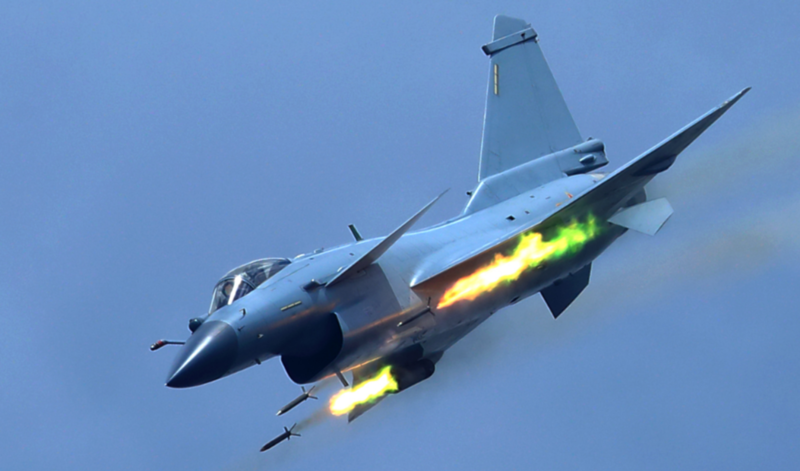 The improved J-10B single-seat fighter began flight test in December 2008. 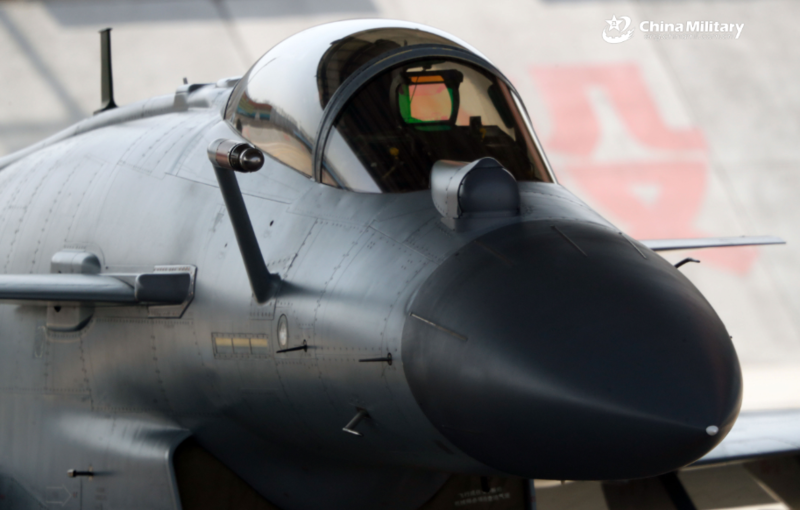 The most distinctive feature of this variant is its chin-mounted diffuser supersonic inlet (DSI), which employs a one-piece bump at the top of the inlet replacing the original movable ramp on the basic variant J-10. This eliminates all moving parts on the inlet, lightening the overall weight and reducing the aircraft’s radar signature. 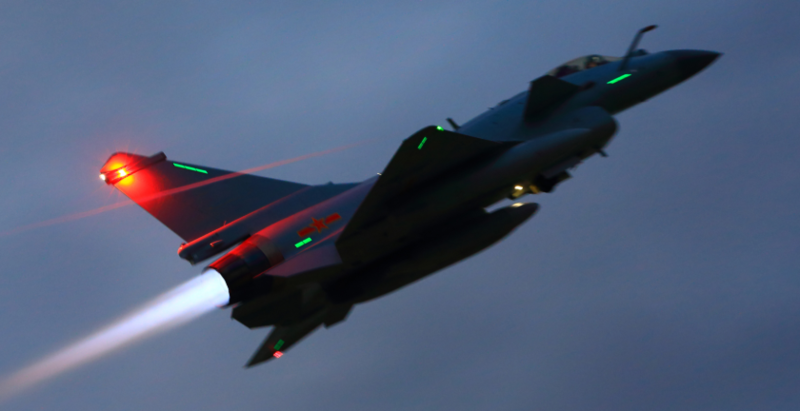 The J-10B has been added with an electronic-optic targeting system (EOTS). Placed forward of the cockpit canopy to the right, the system comprises an infrared search and track (IRST) sensor and a laser rangefinder, which can detect enemy targets passively without requiring to turn on the fire-control radar, thus reducing the chance of the aircraft being detected. 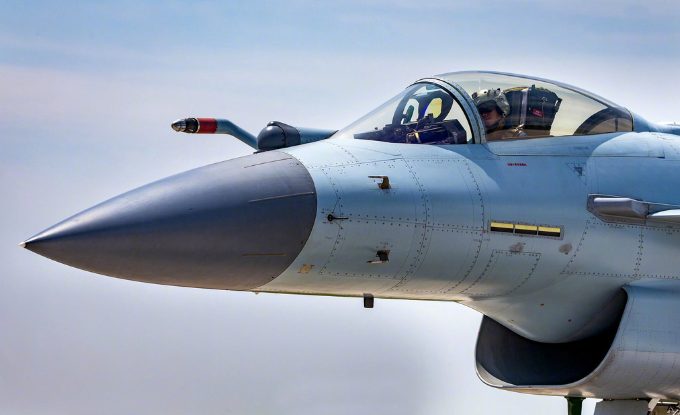 The aircraft has also been upgraded with an improved suite of avionics, including an indigenous passive electronically scanned array (PESA) fire-control radar, capable of engaging 4 targets simultaneously. The upper edge of the aircraft’s tailfin is curved, in contrast to the straight-edged tailfin of the J-10. A large fairing is added to the tip of the tailfin to accommodate electronic warfare and countermeasures (EW/ECM) equipment. 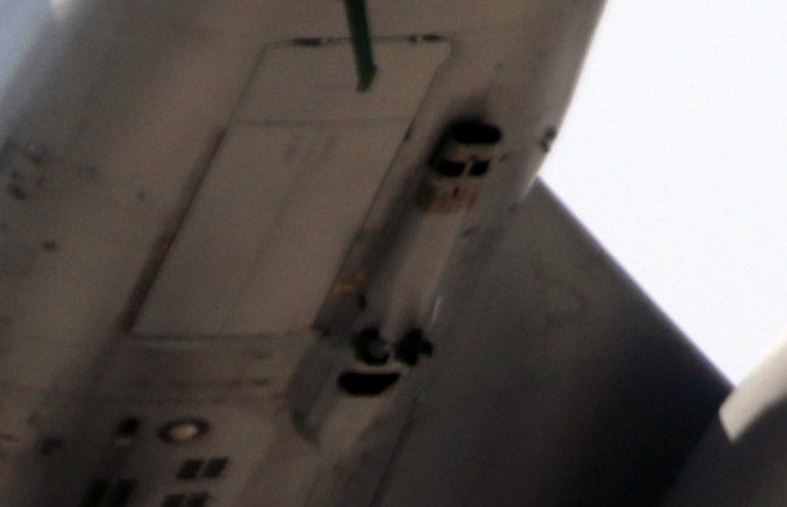 There are also four black electronic countermeasures (ECM) antenna arrays attached externally to the fuselage, a larger one on either side of the cockpit and a smaller one on either side of the rear fuselage near the engine nozzle. 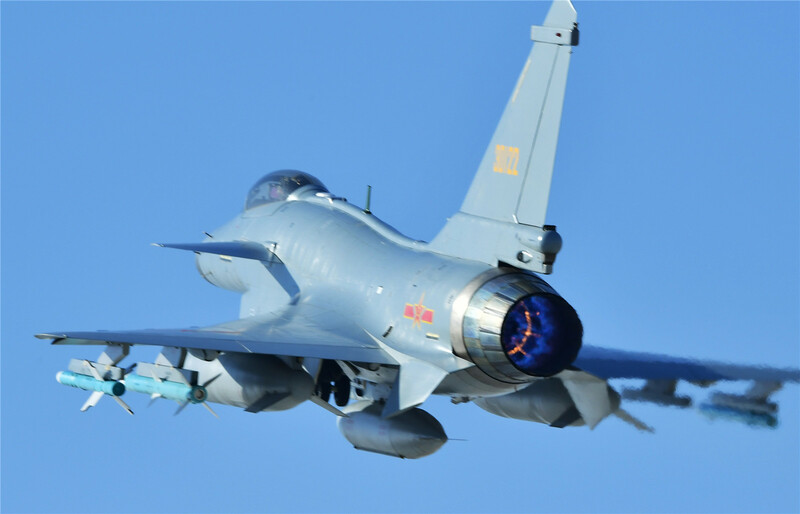 After years of flight testing and evaluation, the J-10B finally entered operational service with the PLAAF in 2014, when the production of the basic variant J-10A stopped. The J-10B production continued until May 2015, after some 50 examples had been delivered. The production has subsequently switched to the newer J-10C variant. The structure of the aircraft is based on a tail-less delta (triangular planform) wing, foreplanes and a sweptback vertical tail. There are two fixed, outwardly canted ventral (on the underside of the body) fins near the tail. 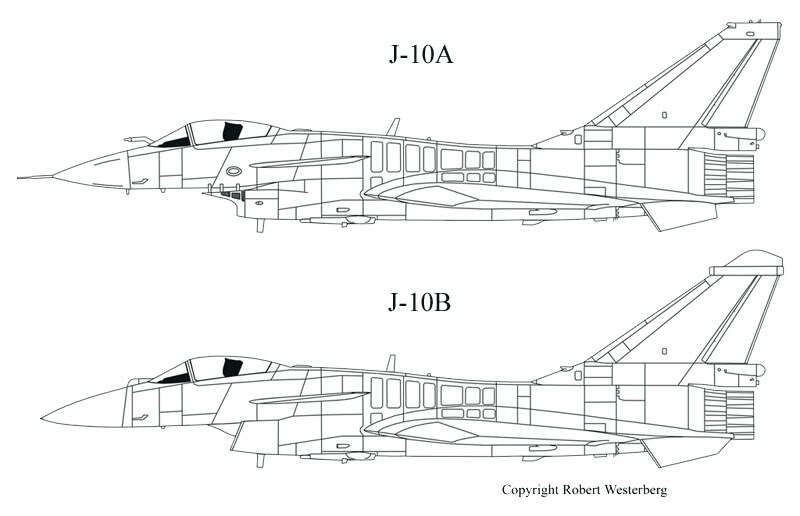 The size and design of the J-10 are very similar to that of the Israeli Aircraft Industries Lavi fighter aircraft, which itself is similar to and derived technology from the USAF F-16 aircraft. The horizontal close-coupled foreplanes (larger than those on the Lavi) on the forward fuselage improve the take-off and low-speed handling characteristics. The J-10 has 11 external hardpoints: five hardpoints on the fuselage with one on the centreline and a pair of hardpoints on each side of the fuselage, and three hardpoints on each wing. 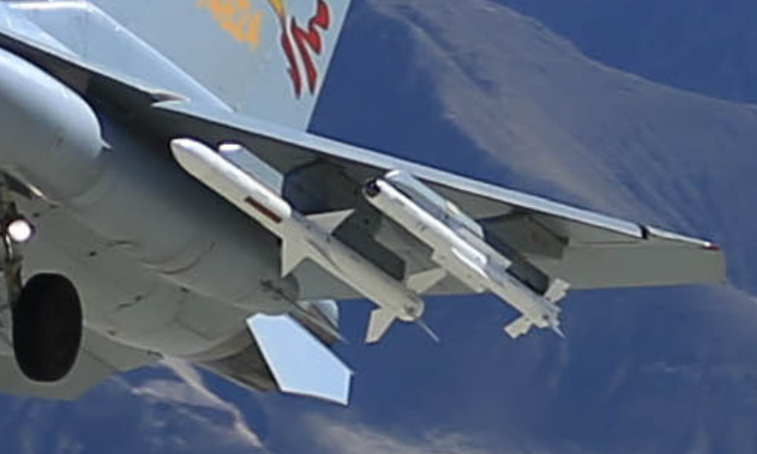 The outer wing stations carry air-to-air missiles such as the Chinese built Python 3 PL-8, P-11 or PL-12 or the Russian Vympel R-73 (AA-11 Archer) or R-77 (AA-12 Adder). 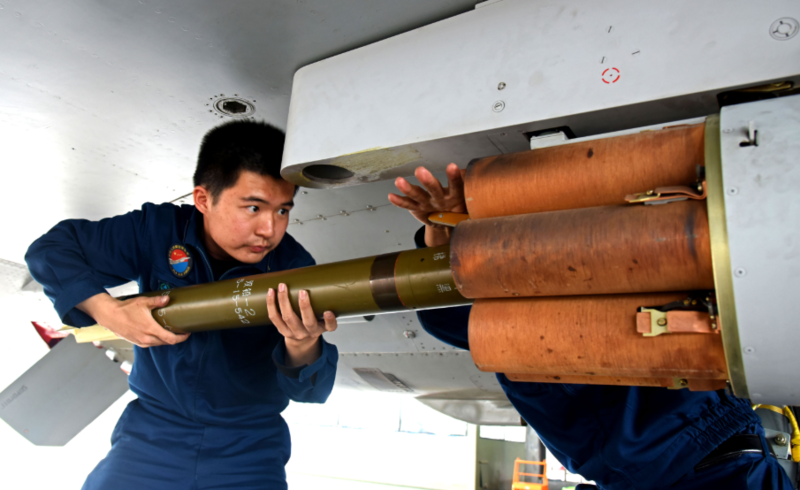 The PL-8 infrared homing short-range air-to-air missile is manufactured in China under a licensed production agreement by the China Academy (formerly the Luoyang Electro-optics Technology Development Centre) and is a variant of the Israeli Python 3 missile. The PL-11 is a licensed-manufactured variant of the MBDA Italy Aspide medium-range air-to-air missile. The PL-12 missile is manufactured in China under a collaborative agreement with Russia. It uses the Russian AA-12 Adder missile technology configured with a Chinese-developed rocket motor to give a range of 50 miles and speed of Mach 4. The PL-11 is derived from a licenced copy of the Selenia Aspide, itself an improved variant of the AIM-7E Sparrow. China had initially experimented with cloning the AIM-7B as the Luoyang PL-4, with a heatseeking and semi-active radar variant planned. This project was abandoned during the 1980s, in favour of the improved PL-10, itself abandoned later in favour of the licenced Aspide, the latter having the advantage of a jam resistant monopulse seeker. 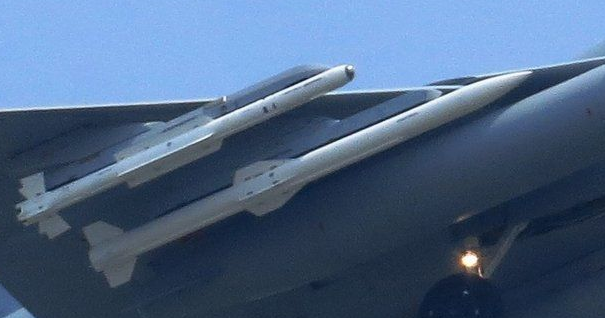 While some confusion remains about designations, most sources identify the SD-10 and PL-12 as the same missile, China’s equivalent to the AMRAAM. This weapon is in sizing and configuration very similar to the AIM-120A, but employs a unique tail planform. Equipped with an active radar seeker, and datalink aided inertial midcourse guidance, this missile is a credible player against the AMRAAM and R-77 series. The indigenous AMR-1 active seeker is identified with the PL-12, and numerous reports exist claiming that it is a derivative of the Russian Agat 9B-1348E seeker package used in the R-77 series. The missile is widely credited with superior range performance to the AIM-120A-C variants. The production status of the PL-12 is unclear, but the missile has been claimed as a future weapon for the indigenous J-10 fighter and the Su-27SK and Su-30, replacing imported R-77s on the latter. The missile has been photographed on the J-10A, J-10S and J-11B. A variant with an all aspect infrared seeker may exist, analogous to Russian heatseeking variants of the R-27 / AA-10 Alamo and R-77 / AA-12 Adder. 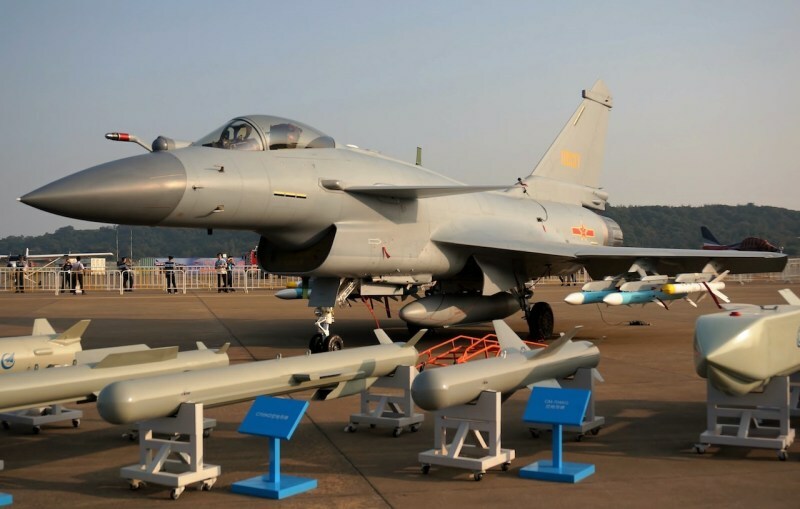 During the 11th China International Aviation & Aerospace Exhibition, or Zhuhai Air Show 2016, China unveiled the PL-10E, an export variant of the PL-10 5th-generation short-range imaging infrared (IIR) homing air-to-air missile (AAM), which itself intended to equip the People’s Liberation Army Air Force (PLAAF) 5th-generation stealth fighter aircraft. 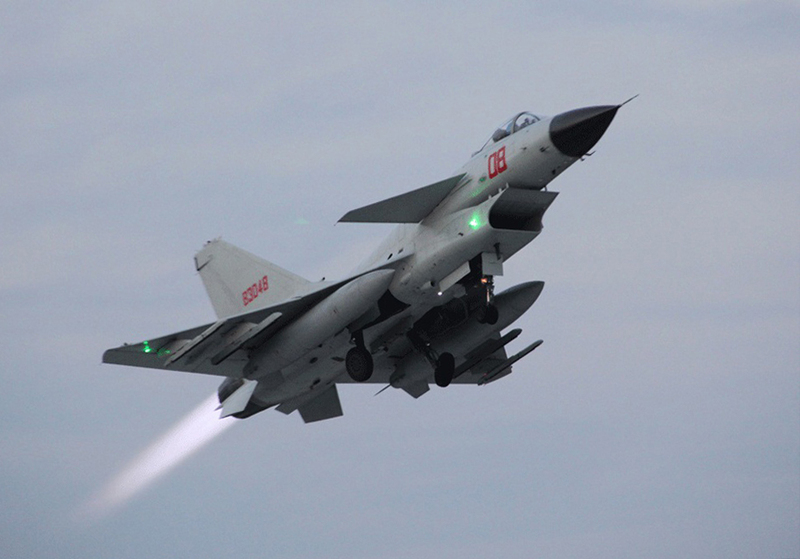 The aircraft can be armed with laser-guided bombs, the anti-ship YJ-8K or C-801K solid rocket powered missiles, the C-802 land attack and anti-ship turbojet-powered missiles manufactured by CHETA, and the YJ-9 anti-radiation missile. The Kh-31P high-speed medium-range “air-to-surface” guided missile with changeable passive radar homing heads is designed to engage radars operating within long- and medium-range air defence missile systems, as well as other ground- and sea-based radars of different purpose, in the corresponding frequency band. The Kh-31P missile can be efficiently launched either independently or in salvo, in fair and adverse weather conditions, to engage radar targets of opportunity or previously disclosed ones. The missile can be equipped with changeable homing heads operating in coresponding frequency bands used by modern continuous-wave and pulsed radars of surface-to-air missile and anti-aircraft artillery systems. – target tracking and missile guidance command generation. 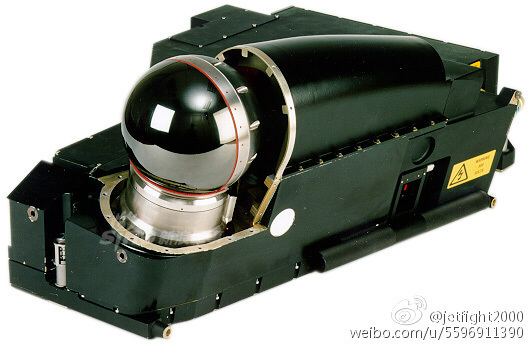 It has a high explosive/fragmentation type of warhead. 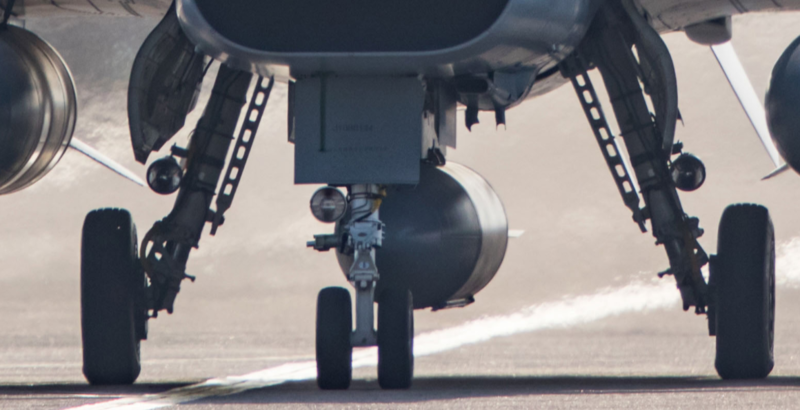 A 23mm cannon is installed internally on the port side of the forward section of the fuselage above the nosewheel. The GSh-23 functions on the Gast principle. In this twin barrel setup the recoil from one barrel cycles the action of the other, allowing for an instant high rate of fire. The GSh-23 is belt fed from a single belt. The GSh-23L adds a muzzle brake that helps reduce recoil. Both GSh-23 and GSh-23L are solenoid fired. The GSh-23 fires the 23x115mm round that is also widely used in other Soviet aircraft cannon. The rate of fire is 3.000 to 3.400 rpm and is instantly achieved as opposed to Gatling type weapons. The muzzle velocity of 715 m/s is low compared to other modern aircraft cannon. The aircraft could be fitted with a forward-looking infrared and laser target designator pod. 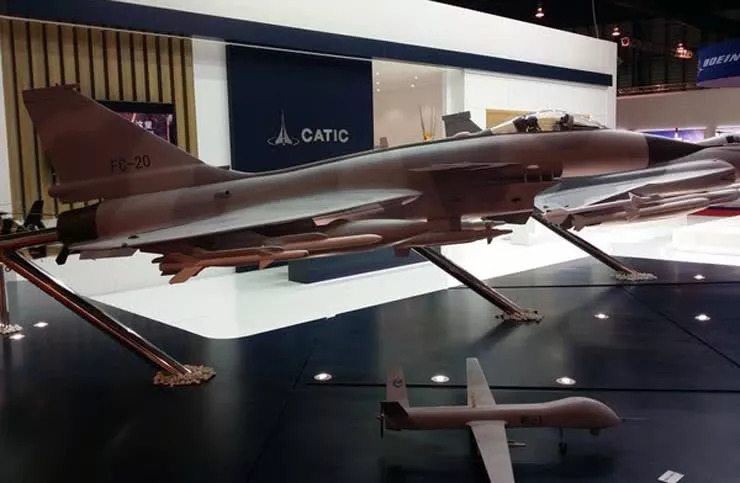 The China Aviation Industry Corporation I (AVIC I) has displayed an exhibition model of the J-10 fitted with targeting pods, which would provide the capability of the J-10 to deploy laser and satellite navigation guided weapons. Possible pulse Doppler radar fits include the Chinese Type 1473 radar, Russian Phazotron Zhuk-10PD or Zhemchug, the Chinese JL-10A, the Israeli IAI Elta EL/M-2023 or the Italian Galileo Avionica Grifo 2000. The single-seat fighter aircraft is also being developed in a two-seat variant as a trainer aircraft and as an electronic warfare aircraft. The first flight of the two-seat variant was completed in 2003. The cockpit is fitted with a zero-zero ejection seat. 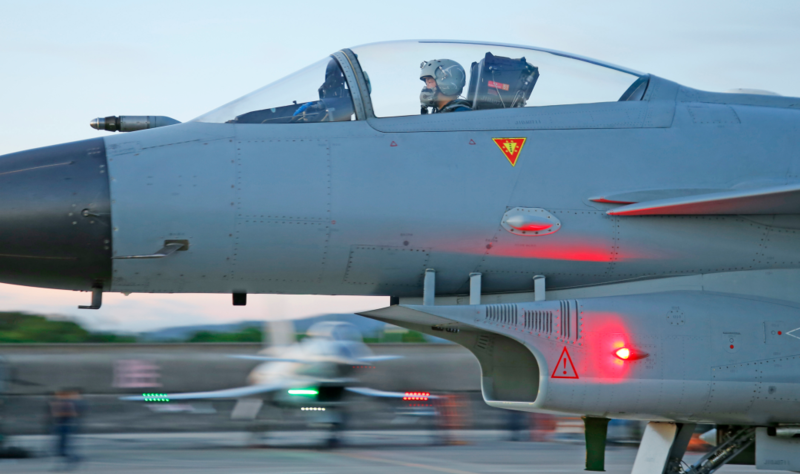 The aircraft has a digital fly-by-wire flight control system and HOTAS (hands-on throttle and stick) control on which the pilot has every control for combat incorporated into the two handholds. 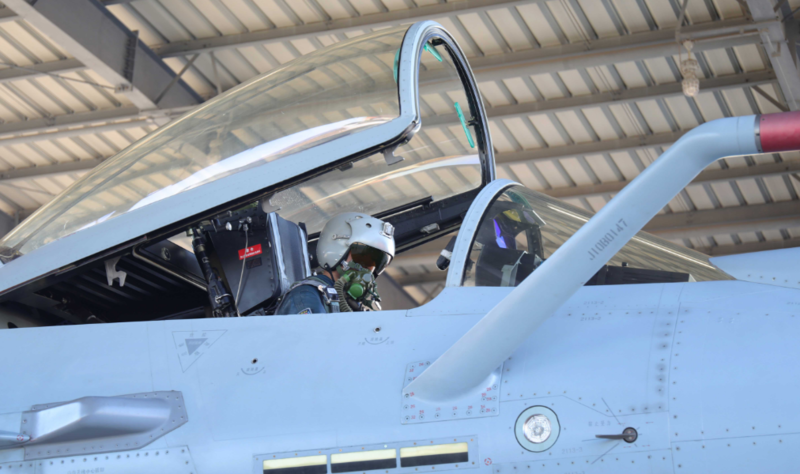 Cockpit displays include a helmet-mounted weapon sight, a wide field of view head-up display and one full-colour and two monochrome liquid crystal multifunction displays. The avionics are served by a 1553B databus. The aircraft is powered by the AL-31 turbojet engine supplied by Saturn Lyulka. 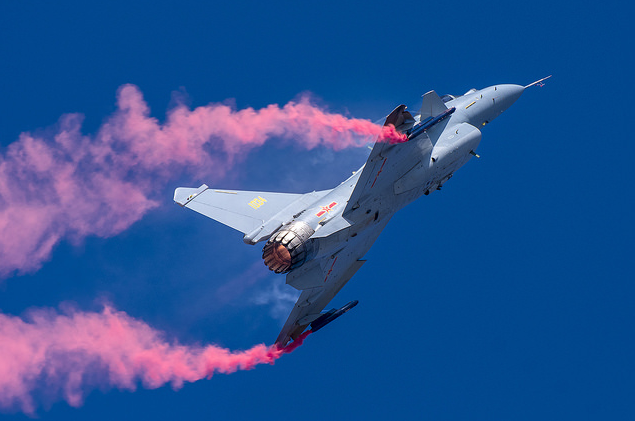 The prototype aircraft and the first series of production aircraft are fitted with the AL-31FN developing 79kN and 123kN with afterburn, and which is the currently used in the Chinese Air Force Su-27 and Su-30 aircraft. The AL-31F engines have modular design, with a four-stage variable low-pressure compressor and a two-shaft turbine. The nine-stage high-pressure compressor has a variable-area first group of stages. The combustor is of an annular type. The single-stage high and lowpressure turbines have active radial clearance control. The air-to-air heat exchanger of the turbine cooling system is placed in the external duct, and is fitted with a device preventing air flow in dry-thrust engine operation mode. 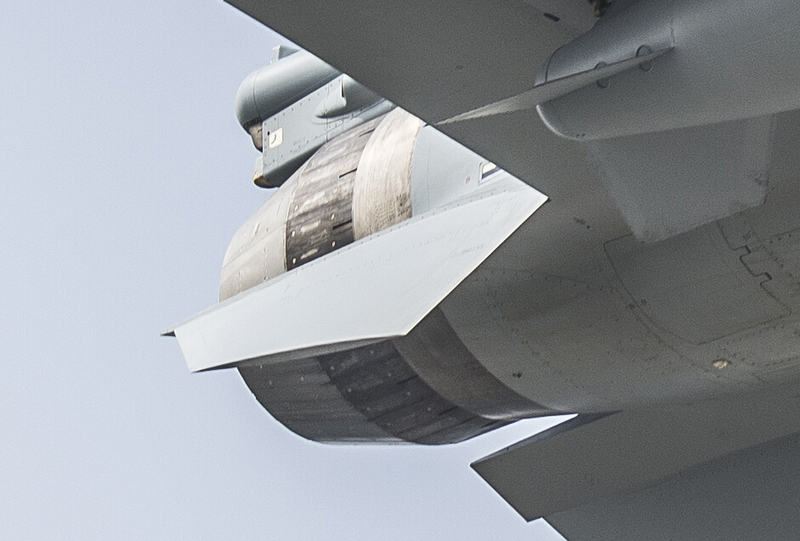 The afterburner is common for both ducts. The supersonic nozzle has a variable-area design. The engine has a top-mounted gearbox, a looped oil system, and an autonomous startup system. The main control system is electronic, while the auxiliary one is hydraulic. The engine features a surge termination system and high gas-dynamic stability of the compressor. The AL-31F engines are available both in standard and tropicalised variants. They are operational in a wide altitude/airspeed envelope, and provide stable operation in deep air intake surge modes at Mach numbers of up to 2.0, in controlled, inverted and flat spins, and enable execution of aerobatics in the dynamic operation mode at negative airspeeds of up to 200 km/h. The engines boast high gas-dynamic stability and durability, enabling their operation in extreme conditions with air intake pressure irregularities and pulsing. 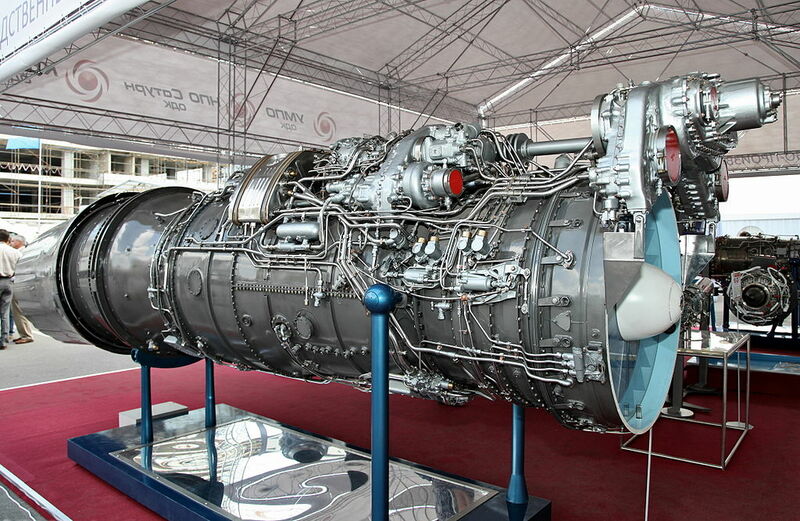 The AL-31F engine is designed for installation in the Su-27, Su-30, Su-32, and Su-35 aircraft. The AL-31F Series 3 engine is designed to power the Su-33 aircraft. The AL-31FN engine is a development of the AL-31F engine featuring both bottom and top gearboxes designed for the Chinese J-10A aircraft. 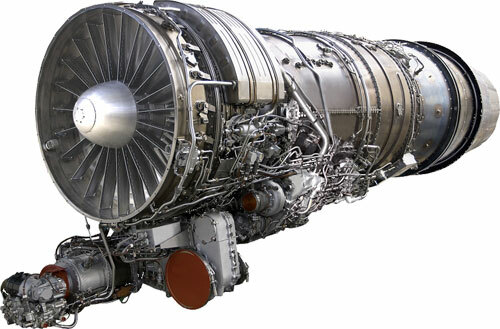 The AL-31FP engine is another development of the AL-31F engine with a swiveling nozzle for the Su-30MK. 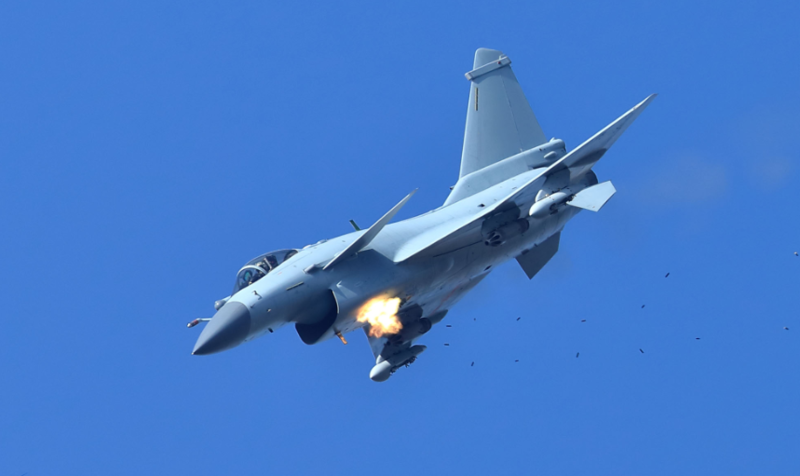 The more highly powered and advanced variant of the J-10, the Super-10, first reported in 2006, is fitted with the AL-31FN M1 supplied by Salyut. The AL-31FN M1 provides 132.5kN and is equipped with full authority digital engine control and a four-way swivelling exhaust nozzle for vectored thrust. -WS-10A has started mass equip of domestic aircraft like J-11B/D, J-10B/C, J-15, J-16 and Y-20 transport aircraft. -WS-10A still not fully equipped all domestic aircraft is because many AL-31 engine lifespan has not used up. The aircraft carries a maximum of 4,950l of fuel internally, comprising 3,180l in the wing tanks and 1,770l in the fuselage tanks. A fixed refuelling probe for in-flight refuelling is installed halfway up the forward port side of the fuselage and just forward of the pilot. 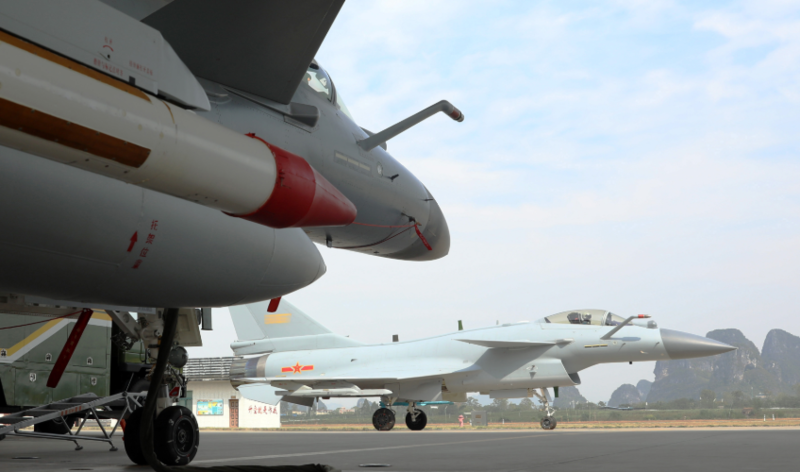 Aerial refuelling of the J-10 is from a Xian H-6U tanker aircraft. Additional fuel can be carried in auxiliary tanks on the centreline under the fuselage and on the innermost pair of the three sets of wing hardpoints. The aircraft is equipped with tricycle-type landing gear. The nose unit has twin heels and retracts rearwards and the main units retract forward. The aircraft has a drogue parachute for landing. The J-10 can fly at a maximum speed of 2,327km/h at high altitudes. Its maximum speed at sea level is 1,470km/h. The range and combat radius of the aircraft are 1,850km and 550km respectively. Its service ceiling is 18,000m. The aircraft weighs around 9,750kg and has a maximum take-off weight of 19,277kg. This entry was posted in Uncategorized on October 25, 2015 by nonothai.